It should be mentioned that casino books are supposed to be boring and repetitive in general. Still, there are some authors, who are widely recognized and highly respected. Some of them are Ian Andersen, Ken Huston, Peter Griffin, Richard Marcus and Stanford Wong. This casino book runs about the author's gambling experience. It tells us about his joining a gang and their unbelievable adventures. Moreover, it is crammed with breathtaking stories about numerous casinos, which were tricked by the gang. It turns out that they gambled mainly in Las Vegas, though they travelled to Australia, London and the Continent. Indeed, this "American Roulette" cannot be called a guide or tutor, because it is not. In fact, it is extremely intriguing and fascinating roulette book. Basically, this casino book is dedicated to card counting. In "Professional Blackjack" the author explains Basic Strategy and one of the major card counting systems: the so-called Hi-Lo system. Besides, there are descriptions of some betting strategies, which can be implemented almost in every modification of blackjack. All these factors make this blackjack book rather helpful and efficient. Actually, this casino book is considered to be a classic one. It provides the readers with the set of effective tips, which can prompt how to behave and win in casinos. 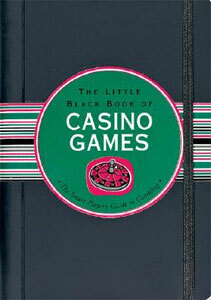 In fact, this book became a starting point for numerous blackjack careers. After the book had been published, Andersen got down to writing its sequel. In this casino book some clear-cut tips and strategies are represented. Virtually, if implement them in a right way, you are sure to beat the wheel. Besides, there are some emphatic stories about hitting jackpot in roulette. In fact this book is worth reading.